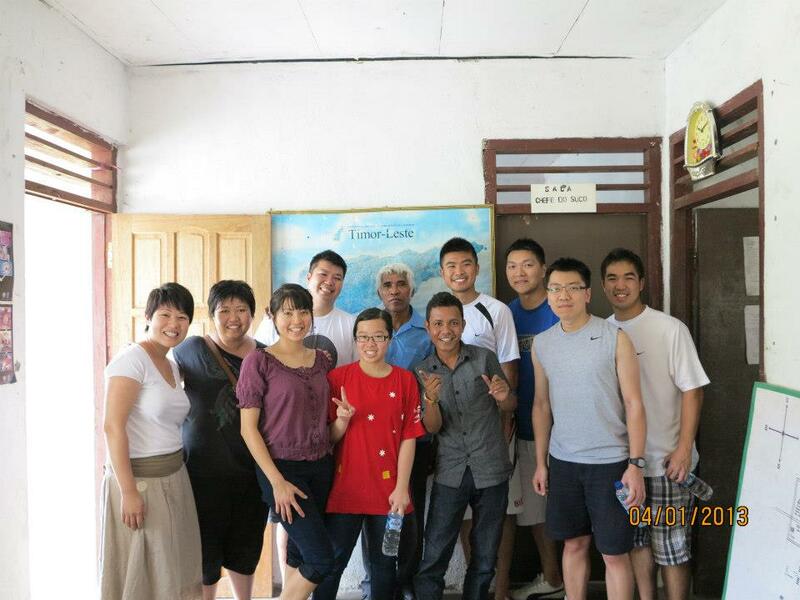 It was 4 January 2013, Day 2 of our mission trip. It had rained during the night and the morning air was cool and crisp at Tibar. 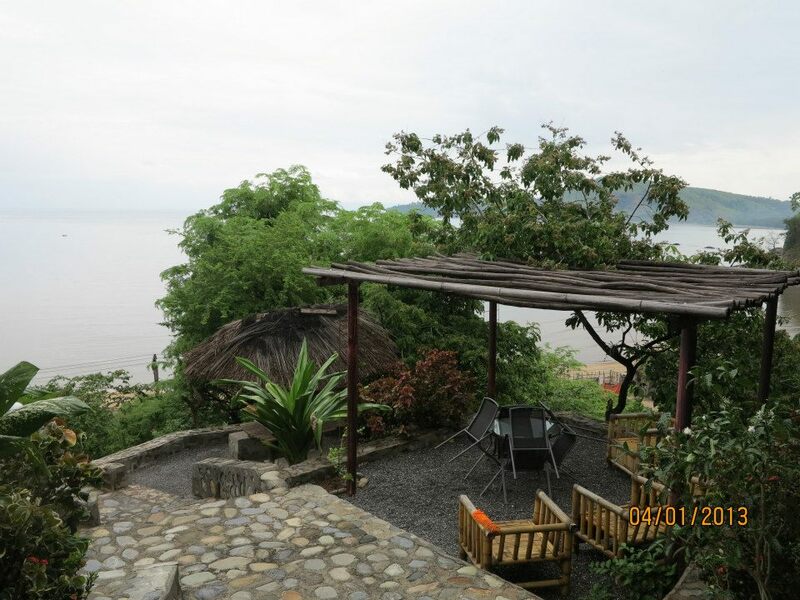 After breakfast, we hit the road towards the village, which wound along the coast along the hillside. What was a fairly short distance took about 45 minutes to navigate due to the poor condition of the road. 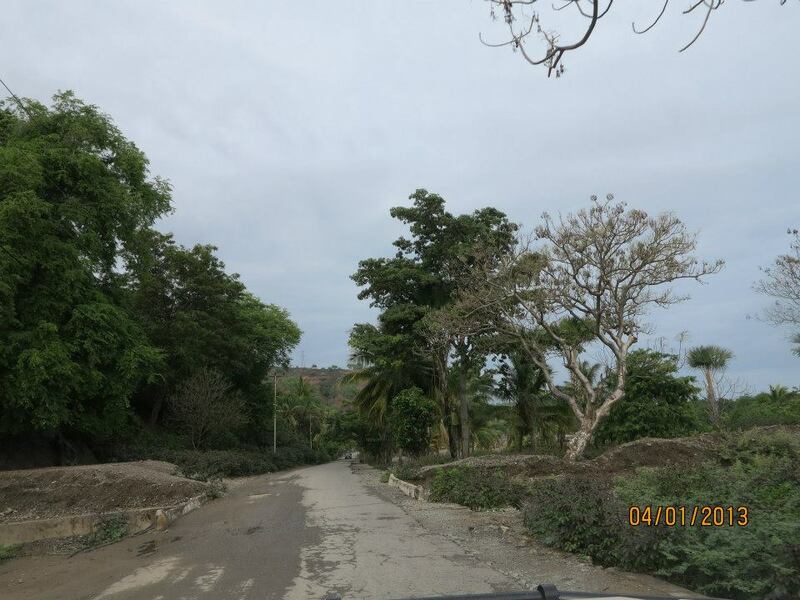 It was littered with potholes, cracks, stray animals and the occasional squashed frog. On our drives back at night, Agung would make a sport of aiming for unsuspecting amphibians. 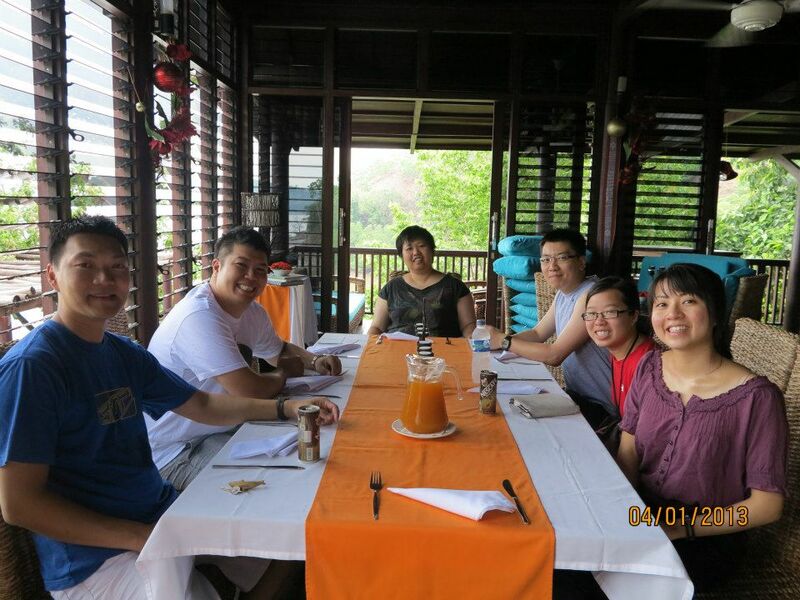 We got to Agung’s house in Liquisa for a time of devotion. There we met a couple of our translators, Luis and Anselmos. Anselmos (pictured below) is 18 years old. He is studying geology in the university in Dili, and he will be the first in East Timor to graduate with such a degree. Ansel actually hails from a village on the other side of the island – the commute took him 8 hours by “public transport”, which is the equivalent of riding in the back of a packed utility vehicle alongside cargo and animals. We got to know Ansel a bit better over the next few days. To me, he represents a new generation that God is raising in East Timor. A relatively young Christian, God was already using him to lead worship and teach in children’s church. He had met the Liquisa missionaries in December and he gladly volunteered his time to work with our team as a translator before his university term started. 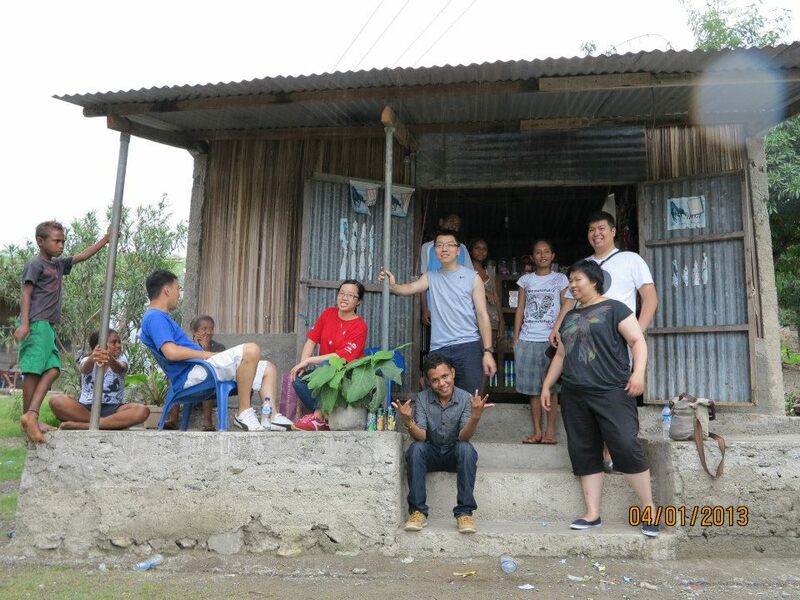 After our group devotion, we trekked up the gravel road to the district chief’s house. It’s what Luke 10 calls looking for the “man of peace”. (On the short walk, we befriended a couple of stray dogs as well). We spent about 20 minutes at the home of the district chief who expressed both his people’s need for groups like us to teach skills, but also his appreciation that we would take the time to introduce ourselves to him. He told us that there had been foreign groups who had previously come into the village and created problems. In a place where relationship is key, you realise just how important accountability is! I did have an anxious moment when the chief pointed at my name on his list and then locked his gaze on me for what seemed like an eternity. I was thinking maybe I had sat on his special chair and somehow offended him, but to my relief, it was because my name was one letter off the name of the island, Timor Leste. I smiled nervously. After we handed a bag of Australian nougat to the chief as a gift, we proceeded back to Agung’s house, with two stray dogs in train. The brown one we called Sally, and the white one we named Michael, after Michael Jackson. 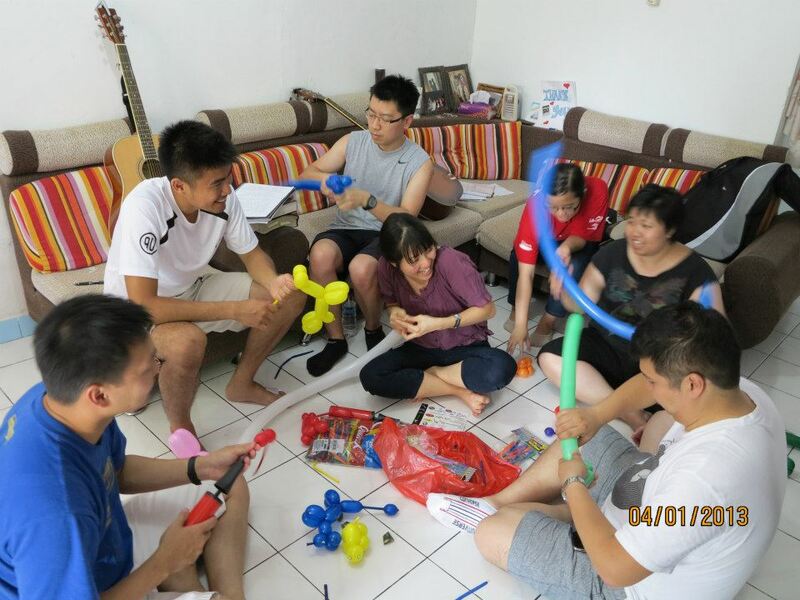 We had a bit of free time before lunch, so we decided to practise our balloon-animal-making. Ling and I had brought 200 balloons and some pumps in case we could use it as part of the children’s program. 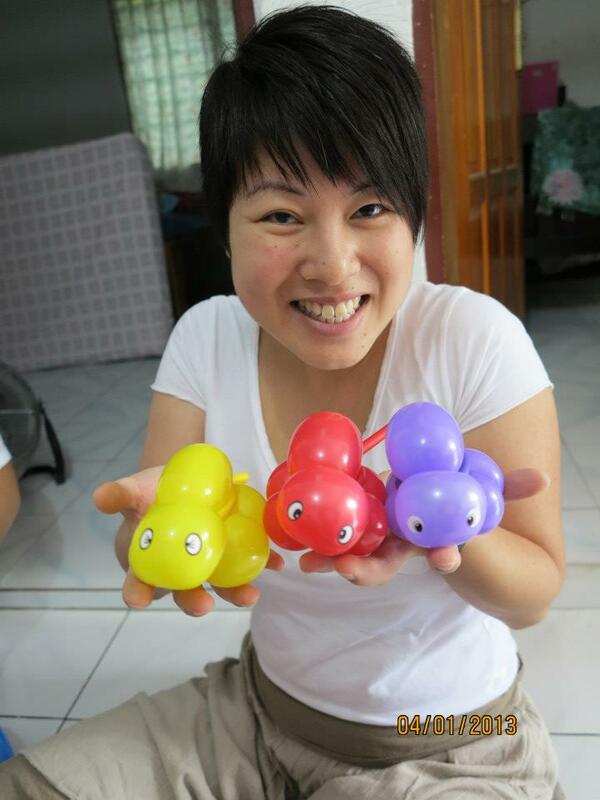 Ten years ago, I had gone on a mission trip to Hong Kong with Youth for Christ and had learnt to make a few objects out of balloons for the kids. That skill came in handy again in 2013! Stef proceeded to put us all to shame by making some complex animals, like the swan. I stuck with the tried-and-true: the tortoise and the dog. Gary decided to stick eyes onto the animals, but I think he struggled to find the correct placement. Those are ears, Gary. We didn’t distribute any of Gary’s animals in case they conjured images of Pan’s Labyrinth and scared the children. Wen had better luck sticking eyes on the tortoises! After lunch, we drove to Kamalalera, which was the main harvest field. We met with the chief of the village and gave him a pair of sunglasses. He was very supportive of Agung’s work in the village and promised that he would come the next day to be with us during the youth program. We then split up into teams to do house visitation amongst the various cell members. What struck me at first blush was how rural the village was. 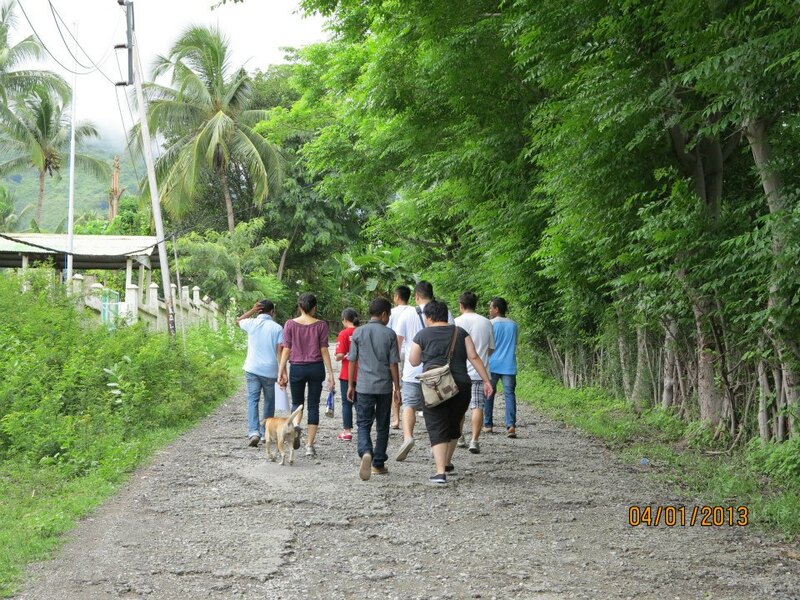 Stray animals (chickens, goats, pigs and dogs) walked around freely. The chickens were my greatest nightmare (due to my inordinate and inexplicable fear of live poultry) but the team was really great and everyone helped me look out for surprise rooster attacks and formed a human shield around me where required. The team of which I was a part visited three houses, with Ansel in tow as interpreter. What we learnt was eye-opening. One lady had come to Christ because she had an illness and after prayer, was miraculously healed. Not only did her healing cause her to believe on Christ, but her sisters also became Christians as a result. This is what Ed Silvoso calls “prayer evangelism”. In effect, Jesus was telling his disciples that when theology fails to convince, let the miracles speak for themselves and point to the reality of God. And in this context, Jesus tells His disciples that they will do even greater works that Jesus (Jn 14:12). Something else we noticed when we spoke to the families was firstly how big their families were (having 5 children was not unusual) but moreso how much hope the parents placed on the generation that would succeed them. They all wanted their children to be educated, to learn English and to have success in life. This is understandable to parents generally, but it takes on special significance in the context of East Timor’s history. The parents were part of that generation that had struggled for many years to gain freedom. War, conflict and loss remain a very fresh part of their psyche. Ten years after the nations’ independence, there was almost a sense of starting anew with the next generation. And I could see how important the work of the Gospel was in East Timor. Save a household and you have a spiritual army of young people whom God may well use to transform their nation in time to come! After we finished the house visitations, we convened at the village convenience store to wait for the other teams to return. It had been a long and tiring day. 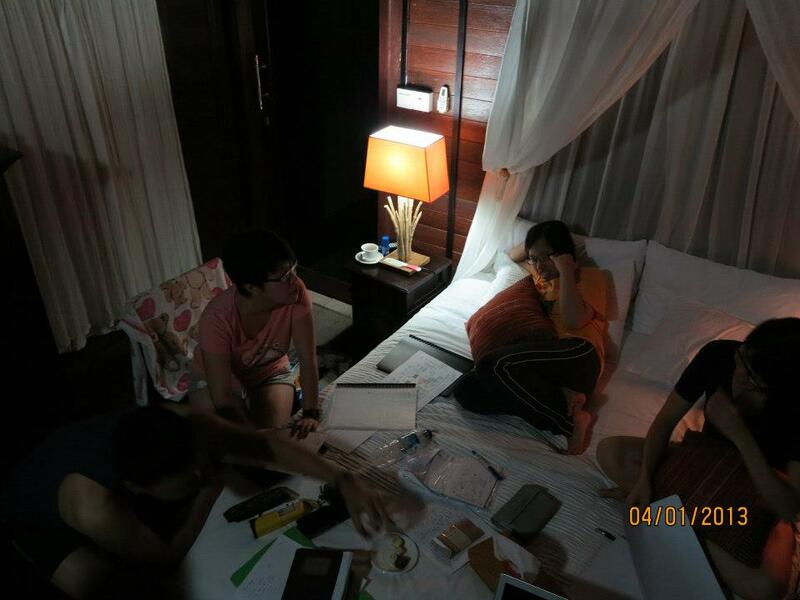 After writing out 40 odd worksheets by hand, we were deliriously tired. What an amazing day it had been. I had learnt so much already. 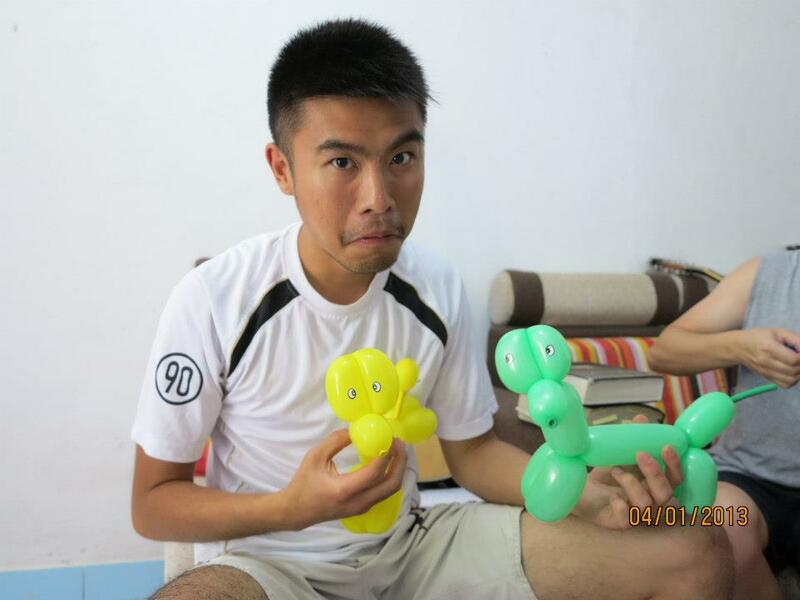 Thanks Lester, Really inspired by these blogs and the baloon things really bring back memories of HK! Thanks Mike. 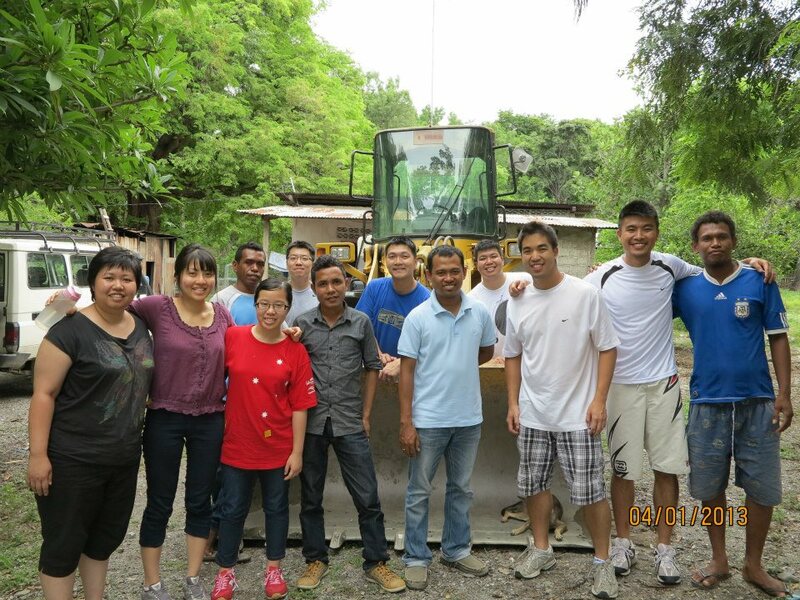 The HK mission trip left me with many fond memories too!